But if environmental history is successful in its project, the story of how different peoples have lived and used the natural world will become one of the most basic and fundamental narratives in all of history, without which no understand of the past could be complete. I am trying to think, to see if I read anything more about Miami…I can’t tell exactly how far we are from there. There are no borderlines on the sea. The whole thing looks like one. In the year 1990, the Journal of American History hosted its first roundtable on the emerging sub-field of Environmental History. This academic forum included five short responses by a generation of established scholars to a centerpiece article by the historian Donald Worster, a man who had already become a founder of the field. Evident in the forum was an early tradition of disputing the intellectual boundaries of Environmental History, even while they were being formed. On the one hand, Worster called for practitioners to begin “Seeing Beyond Culture” and analyzing “modes of production as ecological phenomenon.” He called for scholars to collaborate with scientists and explore capital–m Man’s relationship to the environment throughout time as a set of “autonomous, independent energies that do not derive from the drives and intentions of any culture.” On the other hand, established historians used their responses to push back on this argument. Writers like William Cronon, Richard White, and Carolyn Merchant called for scholars not to lose focus on the “broader cultural systems in which [agro-ecological modes of production] are embedded.” They asked for us to avoid ignoring cultural categories that existed “below the level of the group” implied by Man, and they asked us not to forget how particular relationships to the natural environment depended upon social constructions like race, gender, reproduction, and class. KEVIN P. DUFFUS. The Last Days of Black Beard the Pirate: Within Every Legend Lies a Grain of Truth. 4th ed. Raleigh, NC: Looking Glass Productions, 2014. Pp. ii, 255. $24.95. ISBN: 1888285540. COLIN WOODARD. The Republic of Pirates: Being the True and Surprising Story of the Caribbean Pirates and the Man Who Brought Them Down. New York: Harcourt, 2007. Pp. 383. $27.00. CAPTAIN CHARLES JOHNSON. A General History of the Robberies and Murders of the Most Notorious Pyrates. New York: Garland Publishing, 1972. Pp. 320. $30.00.Originally published in London: Charles Rivington, 1724. ROBERT RITCHIE. Captain Kidd and the War Against the Pirates. Cambridge: Harvard University Press, 1986. Pp. vii, 306. $20.00. ALEXANDER OLIVIER EXQUEMELIN. The History of the Buccaneers of America. Trans. by Alexis Brown. Introduction by Jack Beeching. Baltimore, MD: Penguin Books, 1969. Originally published in Dutch as De Americaensche Zee-Roovers. Amsterdam: Jan Ten Hoorn, 1678. KRIS E. LANE. 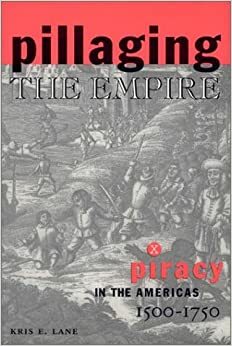 Pillaging the Empire: Piracy in the Americas, 1500-1750. (Latin American Realities.) Armonk, New York: M.E. Sharpe, 1998. Pp. xxiv, 237. Cloth $58.95, paper $19.95.